Gilicat was built in Australia by Noosa Cat to the highest standards using the latest materials and technology. It is compliant with and has been issued with a Passenger Ship Safety Certificate (PSSC) and International Safety Management System, Ships Management Certificate (SMC) . 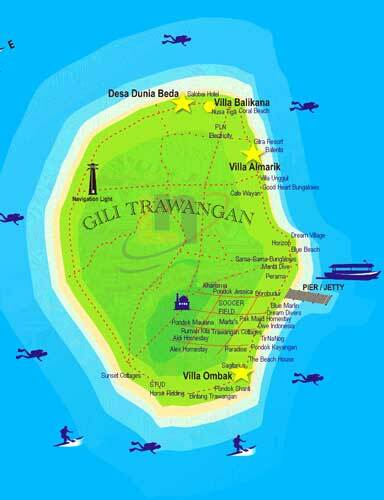 We offer daily departures from our dedicated facility in Padang Bai direct to Gili Trawangan and Teluk Kode. Estimated time at sea is 80 minutes, contingent upon weather conditions. If your staying in the south of Bali, no problem! 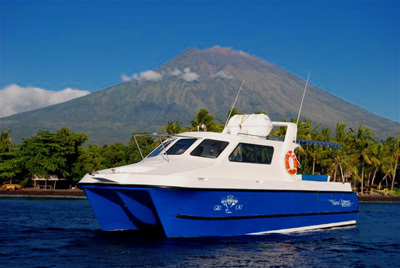 We offer free of charge transfers from the Sanur and Kuta area to Padang Bai and back. Driving time is approximately 1 hr. And for your luggage, we have porters at all our points of departure and arrival at no extra cost to you! 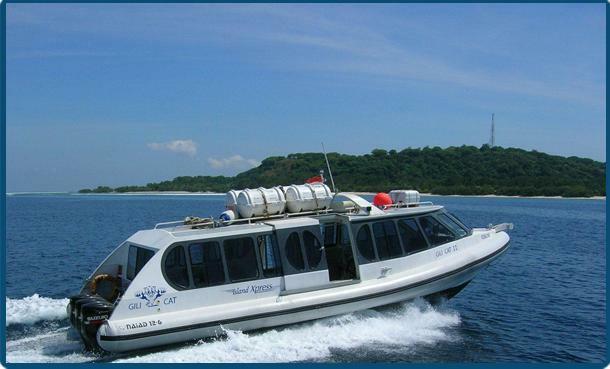 As Marine Tourism professionals with extensive experience operating vessels in and around the Badung and Lombok Strait and Eastern Indonesia, we have an excellent understanding of this seaway and a healthy respect for the ocean. 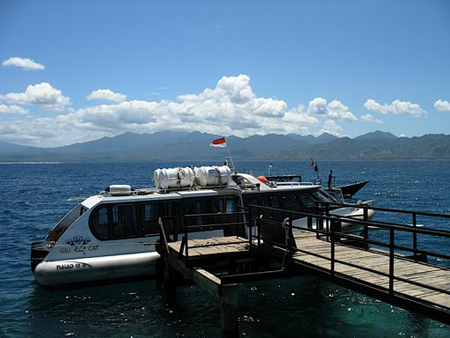 While the route between Benoa and Lombok can often offer a smooth and enjoyable passage, just as often, it can be less than ideal. As experienced seaman, we understand that a smooth sea passage on a sunny morning is a real pleasure, however we also understand that a less than ideal crossing is far from the image most people have of their journey between two islands. 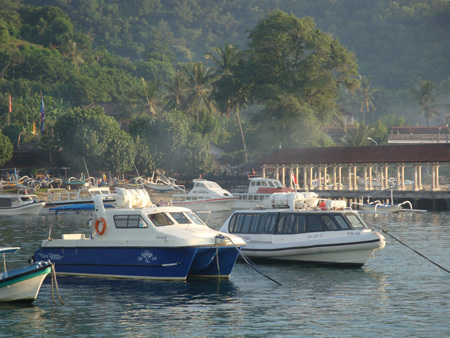 Passengers traveling between Padang Bai and Gili Trawangan. 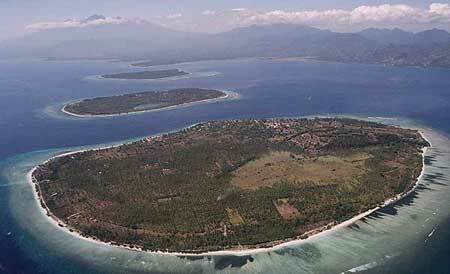 Each passenger is entitled to have not more than 2 pieces luggage and 2 surf board per person carried free of charge. If loading is available then excess luggage will be carried at the company’s standard rates, and if loading is not available then the company may arrange to forward excess at the passenger’s own risk expense and by other means of transport specified by the passenger. The passenger shall not take onto the vessel or include in his luggage any explosives, volatile spirits, corrosives, any easily ignitable articles or offensive thing likely to cause inconvenience to other passengers or anything likely to endanger the vessel, other passengers or goods. The company accepts no responsibility for loss, damage or injury to luggage or loss damage or injury to the passenger arising out of or in any way incidental or connected to the service or the accommodation of the passenger or the transfer of any luggage between the vehicle and/or the vessel and/or any place of accommodation whether such loss, damage or injury may be due or alleged to be due to negligence or misconduct on the part of the company, it’s servants or agents or otherwise howsoever. 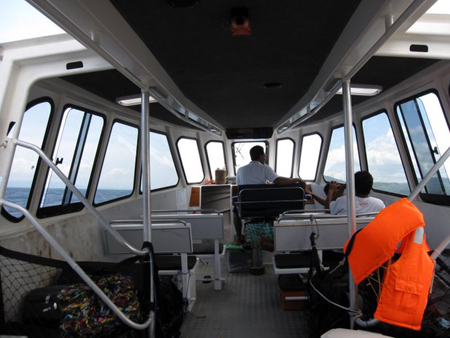 The passenger shall comply with the instructions of the company’s servants and agents concerning all matters connected with the service and shall comply with any notice exhibited on the vessel. The company shall not be liable for any loss, damage or injury which may arise or be alleged to arise in the event of cancellation of the service or the abandonment of the service during the course thereof (should the company or any of its servants or agents in their absolute discretion decide that such abandonment is necessary) or of any deviation or delay in the service arising from any cause whatsoever. In any such event the company shall not be liable in any way for the cost of any accommodation or for any alternative means of travel which may arise and additional expense so arising shall be the sole liability and responsibility of the passenger. The company may arrange for any other person to undertake the service hereby contracted or for any part thereof and such person or his service or agents shall be entitled to the benefit of these conditions to the same extent of the company as if such person were a party to this contract. The company reserves the right, in the event of a ticket or booking being canceled by the passenger, to charge cancellation fees in accordance with the company’s current scale of refunds. No condition of carriage other than set out on this page will be recognized. This contract may only be varied by agreement in writing between the company and the passenger.